In an interview with Anderson Cooper on 60 Minutes, author George R.R. Martin spoke about the upcoming Game of Thrones ending, saying he doesn’t think it will be “that different” from the ending of the last two books in his “A Song of Ice and Fire” series. Based on the popular book series “A Song of Ice and Fire,” by George R.R. Martin, the Emmy-winning fantasy series chronicles an epic struggle for power in a vast and violent kingdom. The series stars Peter Dinklage, Nikolaj Coster-Waldau, Lena Headey, Emilia Clarke, Kit Harington, Sophie Turner and Maisie Williams. Executive producers of Game of Thrones Season 8 are David Benioff, D.B. Weiss, Carolyn Strauss, Frank Doelger, and Bernadette Caulfield; co-executive producers are Guymon Casady, Vince Gerardis, George R.R. Martin and Bryan Cogman; and producers are Chris Newman, Greg Spence, and Lisa McAtackney. 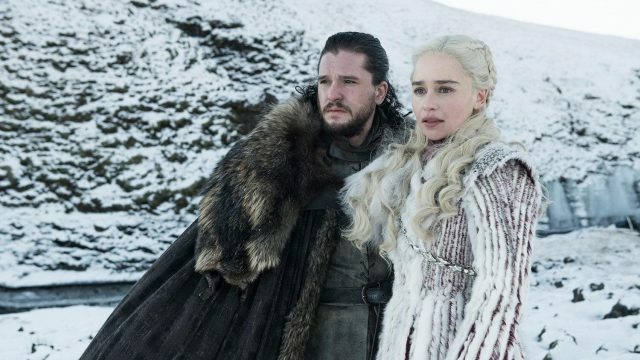 The final season of Game of Thrones likely won’t be our last trip to Westeros, as HBO has greenlit a pilot set 1,000 years before the events of the wildly popular sword and sorcery epic. Naomi Watts and Josh Whitehouse have been cast in the prequel series. S.J. Clarkson (The Defenders, Jessica Jones) will direct the pilot.